THE anti-satellite weapon capability demonstrated by India was first developed by the US in 1959, primarily to counter the erstwhile Soviet Union. What is an A-SAT? A-SATs (Anti-Satellite Weapons) are aimed at destroying or disabling space assets, whether military or civilian, offensive or defensive, according to a document of the United Nations Institute for Disarmament Research (UNIDIR). They are generally of two types: kinetic and non-kinetic. Kinetic A-SATs: They must physically strike an object in order to destroy it. 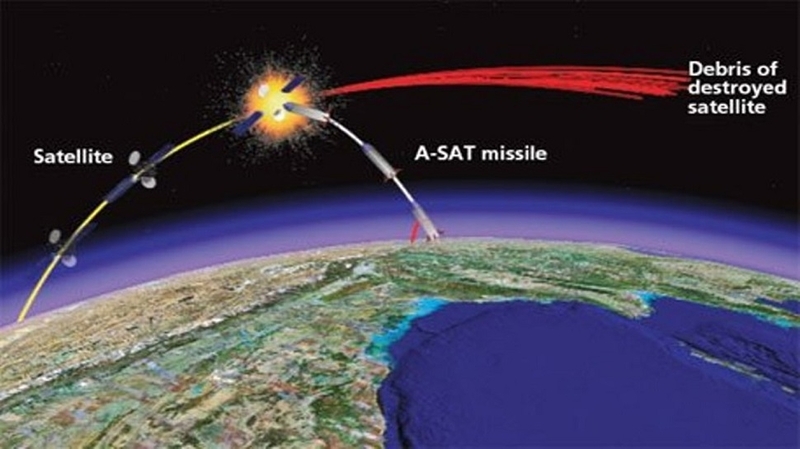 Examples of kinetic A-SATs include ballistic missiles, drones that drag an object out of orbit or detonate explosives in proximity to the object, or any item launched to coincide with the passage of a target satellite. This means any space asset, even a communications satellite, could become an A-SAT if it is used to physically destroy another space object. Non-kinetic A-SATs: A variety of nonphysical means can be used to disable or destroy a space object. These include frequency jamming, blinding lasers or cyberattacks. These methods can also render an object useless without causing the target to break up and fragment absent additional forces intervening. Guidelines suggested for A-SAT tests: In 2018, the UNIDIR proposed three ASAT test guidelines. Under the ‘No Debris’ guideline, if an actor wishes to test A-SAT capabilities, they should not create debris. If an actor must create debris during an A-SAT test, it should be carried out at an altitude sufficiently low that the debris will not be long-lived. It also suggested that actors testing A-SATs should notify others of their activities (even if they are not completely transparent on the motivation behind the test) to avoid misperceptions or misinterpretations. However, there is no consensus among the space-faring nations on the guidelines.